Last May, there were reports coming out that German automaker Mercedes-Benz had contacted premium electric vehicle manufacturer Tesla Motors about possibly working on an all-electric Mercedes-Benz vehicle. Initial reports said it was an A-Class, but now it turns out that the vehicle in question is actually a B-Class. 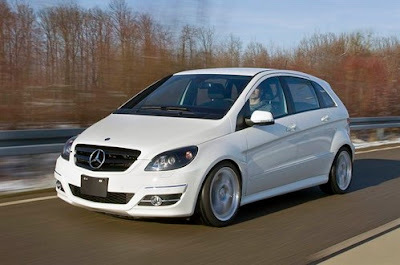 According to new reports, the all-electric B-Class should make its world debut sometime in 2014. The first idea was to use range extenders, (shown @Frankfurt 2011 as an range-extended concept) but ultimately the engineers went with an all-electric drivetrain, of which Tesla should be in charge. There’s not much specific information right now, but we’ll keep you posted as new details surface.